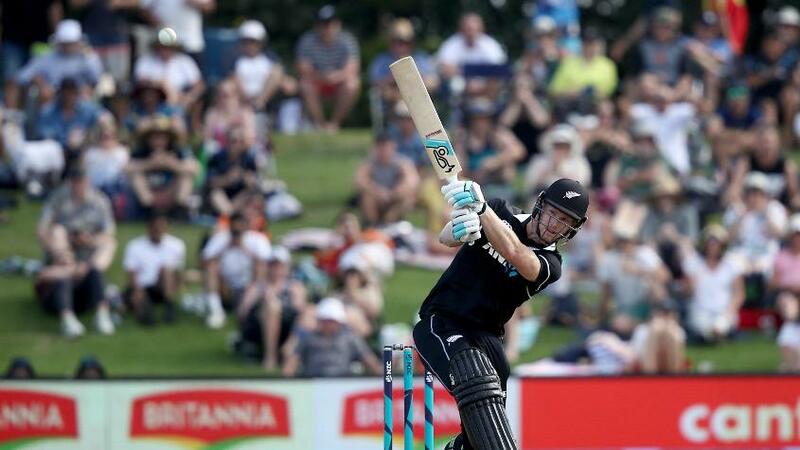 Martin Guptill's brilliant 138 and Jimmy Neesham's all-round show on comeback helped New Zealand beat Sri Lanka by 45 runs in the first one-day international in Mount Maunganui on Thursday, 3 January. 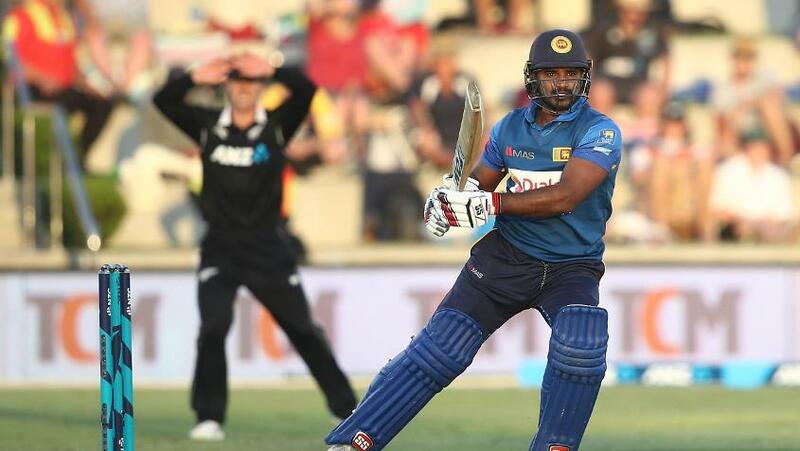 Sri Lanka could manage only 326 in reply to New Zealand's 371/7, thereby conceding the game and a 1-0 lead in the three-match ODI series to the hosts. Chasing a daunting target of 372 runs, Sri Lanka got off to the best possible start, with openers Danushka Gunathilaka and Niroshan Dickwella adding 119 runs in just under 18 overs. Seventy runs were collected in the first Powerplay and Sri Lanka's 50 was up in just the seventh over. With the pressure of the chase mounting, Asela Gunaratne, who found himself stuck on 11 off 22, tried to break free by slogging Sodhi over wide long-on but holed out to Lockie Ferguson. Thisara Perera, with a career strike-rate of 110, held Sri Lanka's hopes in the swing of his bat. But Ferguson mixed his pace well, leading to Thisara slicing one in the air, only for Colin Munro to get under the ball at third man. Kusal, meanwhile, reached his fourth ODI hundred with consecutive boundaries off Matt Henry in the 44th over. It took him 82 balls and contained 13 fours and a six. But, 75 runs off the last five overs proved to be too much for Sri Lanka. Kusal's wicket in the 46th, caught by Tim Seifert off Boult, rang the knell. Neesham finished with three wickets while Boult, Sodhi and Ferguson got two wickets apiece. Seifert, debuting behind the stumps, was involved in four dismissals. Earlier, after New Zealand chose to bat, Lasith Malinga, the Sri Lanka captain, struck in the fifth over to send back opening bat Munro for 13. But that wicket was the only one they would get in a long time as Guptill and captain Kane Williamson added 163 runs for the second wicket. 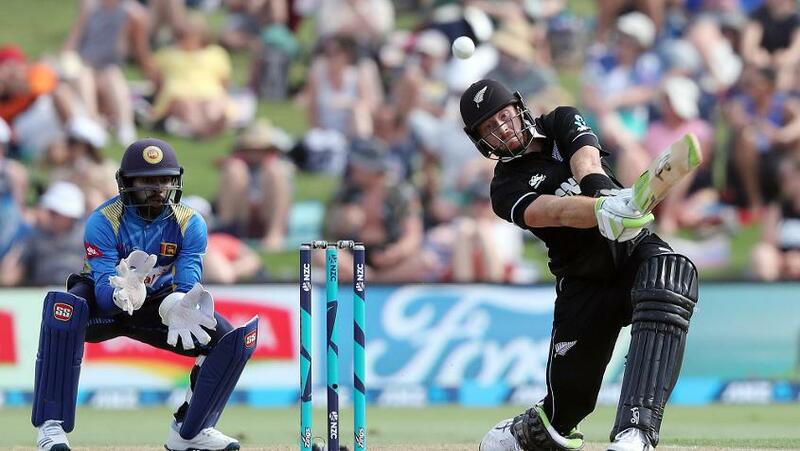 Guptill hit six fours and a six to bring up his half-century off 54 balls, even as New Zealand reached the team 50 in the eighth over and 100 in the 18th. Williamson wasn't far behind, getting to fifty off just 52 balls. By the half-way stage, the hosts were cruising at almost six runs per over. The breakthrough came when Williamson was bowled by Nuwan Pradeep in the 31st, but there was little respite for the Lankans. Ross Taylor blasted his way to a 37-ball 54 with six fours and two sixes, while Guptill's century came off 111 balls. While a 300-plus score looked likely, the arrival of Neesham, playing his first ODI since June 2017, changed things dramatically. Guptill and Taylor fell in quick succession, leaving the home side at 294/4, before a late onslaught by Neesham in the 49th over resulted in 34 runs off Thisara Perera. Neesham went 6, 6, 6, 6, 2nb, 6, 1 in the penultimate over of the innings and finished unbeaten on 47 off just 13 balls, with five sixes, at a strike-rate of 361.53.